Why: To demonstate your support against bullying and mobbing in the workplace and to support those whose case against the University of Newcastle is to be mediated before the Workers Compensation Commission in Newcastle on 15 March 2013. It is not enough to have the report. TO MAKE IT STOP WE HAVE TO ACT. 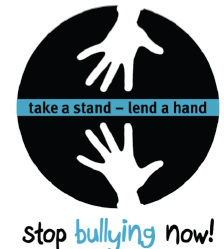 Bullying occurs in so many aspects of life, work, school, community and cyber space. WE HAVE TO SPEAK OUT AND SHOW THIS BEHAVIOUR IS NOT ACCEPTABLE. Bullying is NOT a personality difference or a misunderstanding. Bullying IS a systematic way to crush an individual usually because they stand out. Bullying causes significant and serious illness. On Friday 15 th March 2013, one of the first ever Work Injury Damages Claim in Australia, because of bullying, harassment and victimisation, will be mediated in the Workers Compensation Commission. This claim is against the University of Newcastle. BULLYING THEN THEY HAVE TO HAVE PROCESSES WHERE THE BULLY IS PUNISHED. Ironically research has shown most bullies in the workplace are promoted or rewarded.